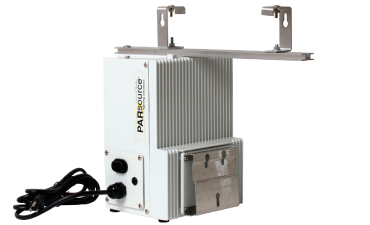 The PARsource Commercial Magnetic Ballast is the premium magnetic ballast in the PARsource line. 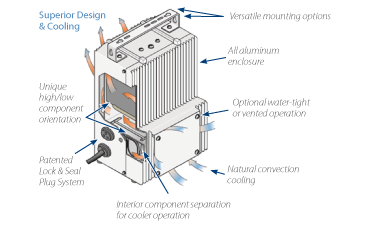 Each ballast is encased in an all-aluminum housing and is powered by only the best UL/CSA-recognized electrical components. Each ballast also comes with an 8-foot power cord with plug. The patented design allows for maximum ventilation and cooling, allowing the capacitor to run cooler than other magnetic ballasts on the market. Cool-running capacitors are the key to long ballast life and continued high light output. The unit is designed to run as an attached or remote unit, providing flexibility to the grower. Note: Remote Magnetic Ballasts are for use with GLX55031A and GLS55100A reflectors. Other plug configurations are available. Please inquire and specify at time of order.